It's a greatly revised edition of a book first published around 1990. No wonder it's greatly revised----so much new information about Stalin's Terror has come to light since then. Re: What have you bought recently? 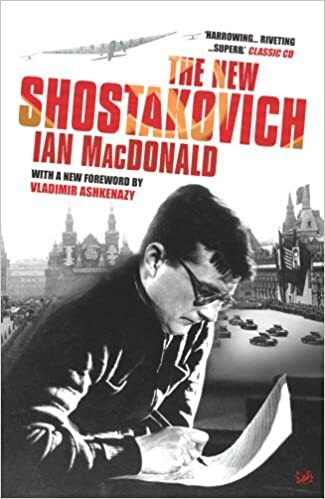 I'm presently reading a book that concentrates on the period when Shostakovich wrote his Seventh Symphony. The book has given a bio, including information about the earlier symphonies. I listened to his First Symphony yesterday. The third movement deeply affected me. And to think that he was still a teenager when he wrote it. 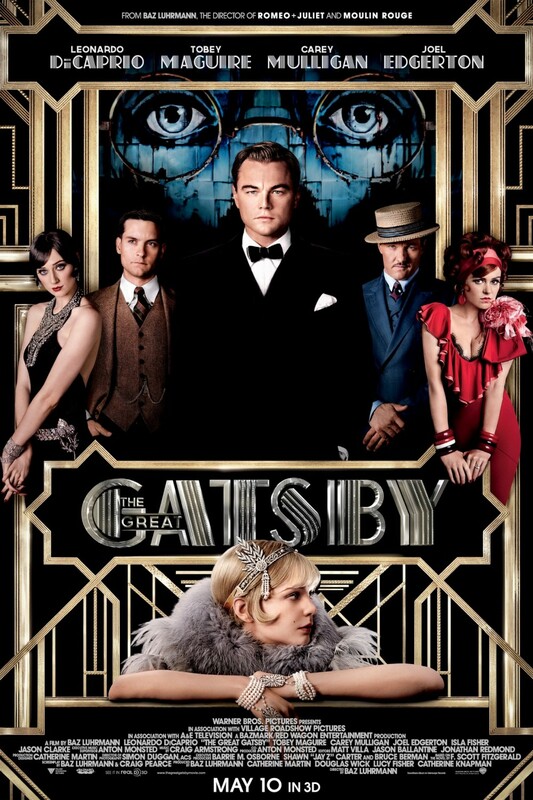 A funny thing was that he had a job playing piano accompanying silent films. He would try out parts of his First Symphony then, hopefully the music worked with what was happening on the screen. There was also a section describing the Fourth Symphony, and that it wasn't performed for many years. From the author's description of it, I will need to go somewhere quiet and not be disturbed when listening to it. And the Fifth Symphony - was he being pro- or anti-Stalin at the end of it? Later versions may have improved sound quality but this is the one for me! Such a timely thread. I got a windfall inheritance of about $75,000. Add in the physical possessions he left behind... the mind boggles. He was a collector of Elvis. I now have about 100 titles and box sets. He loved The Beach Boys. Nobody in my family wanted that, so now I have doubles of many things, but filled in a few holes. Mostly the 1990 two-fers that I had sold off after the 2000 upgrades were released. I had to slim down my collection of Cd and vinyl when I moved from California to New York in 1998. Now I have them back again. He had some of the Animals titles I didn't have, including the rare Eric is Here Cd. It was a thrill to finally get the Zombies Heaven box. It would take a lot of tapping to tell everything. 2016 was the best year of adding to my collection, ever. So, what have I bought recently? That would be a long list, as well. I got some new rugs and lots of stuff for making life beautiful around the house. Some books, including the Carl book I passed on when it first came out. I'm thinking about getting the Dennis book so I can finally read it, but still hoping for Jon to revise and get it published again. On the Cd/vinyl front, The Beach Boys new one is blowing my mind. Better in many ways than the Pepper's and Flowers in the Dirt boxes, though the packaging is off the charts on both of those. The job Mark and Alan did on Sunshine tomorrow is one of the most remarkable things they have ever given us. To say listen with new ears is an understatement. Got the first two Spirit albums that Steve Hoffman mastered for reissue - he is doing the set of four by the original band. Can't wait to get Clear, my favorite of the bunch. Filling in the holes of my Iron and Wine vinyl collection. I got 18th row center for Iron and Wine's tour for the new album in November. Sam hasn't put out a new solo album since Ghost on Ghost, so that's on pre-order. As is a new Chris Hillman in September, and something Steve Winwood is releasing - a two Cd of live stuff covering his whole career. Two of the best things released just last month are Steve Miller Band's Recall the Beginning...a journey from eden and Rock Love - both of which have been released for the first time on Cd in Japan mini-sleeves. I've been buying some of the now legal boots coming out of the Uk: Mannassas' Amsterdam broadcast from 1972, two Richie Furay shows from My Father's Place (Long Island, New York) in 1976 and 1978, and a great old Tom Petty from a show taped when he was just starting out - something I've had on vinyl since the late 70's. Last but certainly not least: the fantastic release of Laura Nyro's first two albums in mono for the first time on Cd. Glad to oblige with my thread, Will. Ye gods. No wonder you're restricted in the time you spend hobnobbing with the impecunious likes of us. I've just ordered the original version from Abe Books. They say the new edition is greatly revised----it's almost a completely new book. 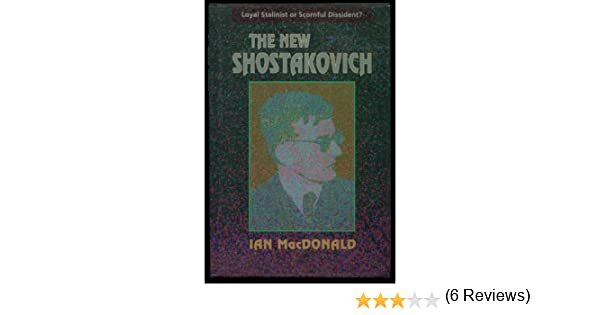 Very broadly and briefly, Ian MacDonald later decided against including ideas of his that were quite radical but intrinsic to the book, claiming that it was telling the reader what to think. Of course, one doesn't know what was going through the author's mind in the years before he took his own life. I think the two books together should complement each other very well, one with MacDonald's original ideas and some fantastically descriptive writing that never made it to the revised edition, and the other with masses of new information and a swing in opinion about a seminal book called Testimony, written by Solomon Volkov. These "Memoirs of Dmitri Shostakovich" (which I also have and a fascinating read they are too) were first regarded as a gross manipulation of the truth (putting words into DS's mouth) but time (and access to resources that were previously inaccessible) has placed them in quite another light. The original volume arrived yesterday. It's clear to me at least that this 1990 book should be regarded as the primary source and the new revised edition as a supplement full of useful new information but so drastically rewritten as to completely lack the schwung of the original. So I'm now as happy as the proverbial pig in manure. Good call to reinstate this topic, RR. The last thing of any consequence I bought was Richard Miles's book Carthage Mvst [sic] Be Destroyed as recommended to me by my good friend at PSF theSuperMetroid. That was in early July. I've only bought food and drink since then (and a pair of slippers). Good ear buds can be hard to find here. Don't say that Kitty isn't spoiled! But he's worth it. Back in the dark ages (70s), I was a student worker in one of the university departments. I remember the Secretary typing on some special paper. If she made a mistake, she would correct it using a dark blue ink. When she opened the bottle the smell was overpowering. You would have loved that strong chemical smell. I don't see the pyramid shape that often. Saw it when I bought my Mother some oolong tea a while back. I used Nesquik when I was a kid. It was okay but it never seemed to completely dissolve. Maybe their formula has changed since 50 years ago. Used chocolate syrup instead. I prefer to say "fragrance". It's politer & elegant. I bet this "oolong tea" is usual tea disguised as sth. exotic. You know, the trick when people give the food extraordinary names. I'm skeptical by nature, don't easily believe many things/ people selling stuff etc. "Nesquik" doesn't disappear still. Many mix it with milk, maybe it's good but think with water it's better. Just today, on my way to library, I stopped by my local used record store and bought two, cool records that may be of interest to folks here. I found a very nice copy of Beach Boys, Party! that still had the photo cutout sheet insert, and a signed and numbered copy of Brian Wilson Reimagines Gershwin. Pretty excited about that. I'd like to buy headgears (the many kinds) identical to Romanov sisters' in different years. Even cooler if smb. in fam/ friends buys it as gift. It will be expensive. I in gift exchange would buy them sth. cheap. Back to topic, torch, 2 pinky-size batteries to it, new cat food, vintage-looking mirror with "sun rays" around it (it looks like I've got sun indoors. Really cool ), new fake money to give as gifts in envelope, greeting cards, few foods.